Classic beauty never fades. 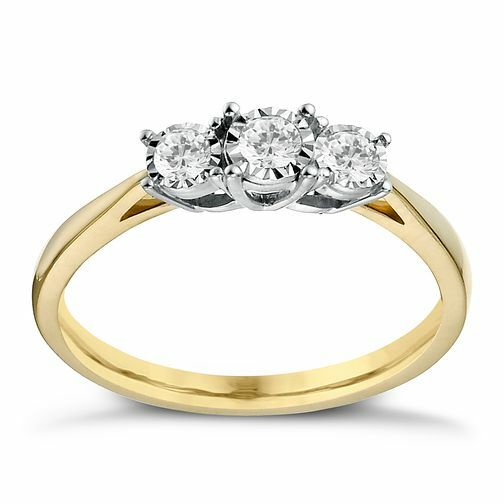 The allure of this 9ct yellow gold, 1/5ct illusion set diamond ring is timeless. Crafted in contrasting white gold, the three illusion set diamonds at the heart of this engagement ring dazzle beautifully.